Enraged Gak spill Donald Trump spent the past few days refusing to release his medical records, something that’s customary for presidential candidates, before announcing this morning that he’ll release them within two weeks. They will show “perfection,” he added, as we all suddenly gagged in unison. Politico reports that they began asking Trump’s campaign when they planned to release his medical records back in October, with no response. Trump quickly decided to release those records. Trump was, of course, declared “medically unfit” in 1968 to serve in Vietnam, and declared ineligible again in 1972 and given a permanent deferment. We sincerely hope he’s feeling better. 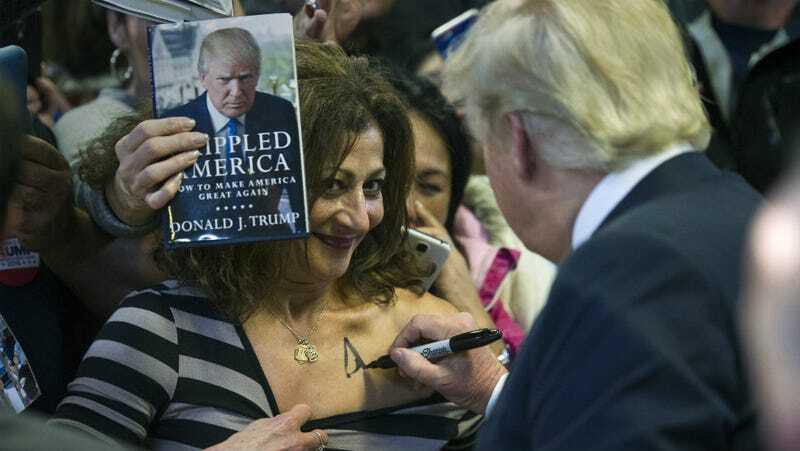 Trump with an enthusiastic well-wisher on December 2, 2015. Photo via AP Images.